Are you planning a trip to Dubai? 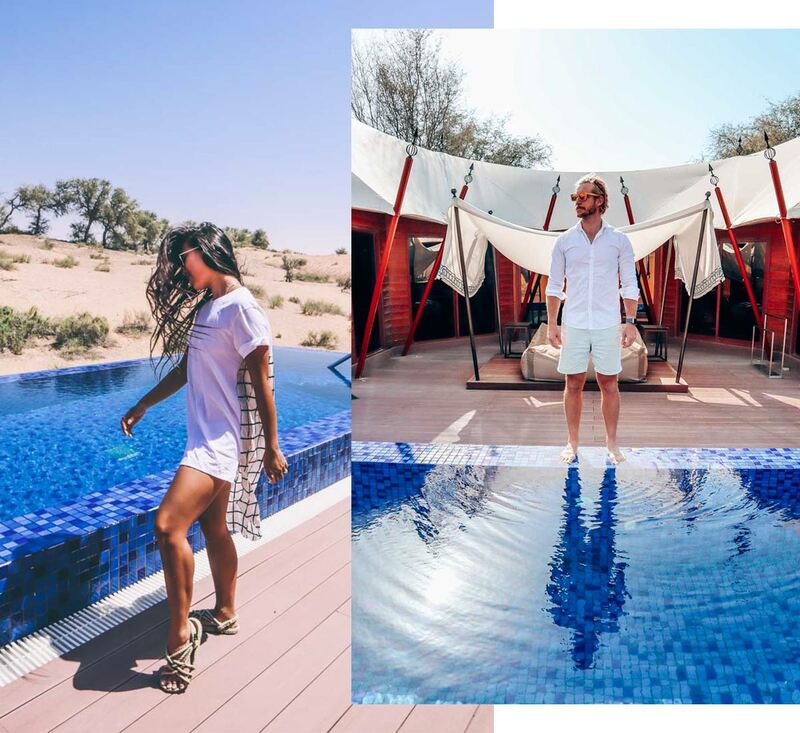 How does planning a few days in Ras Al Khaimah for some fun activities whilst relaxing after in luxury tents in the desert at night sound? 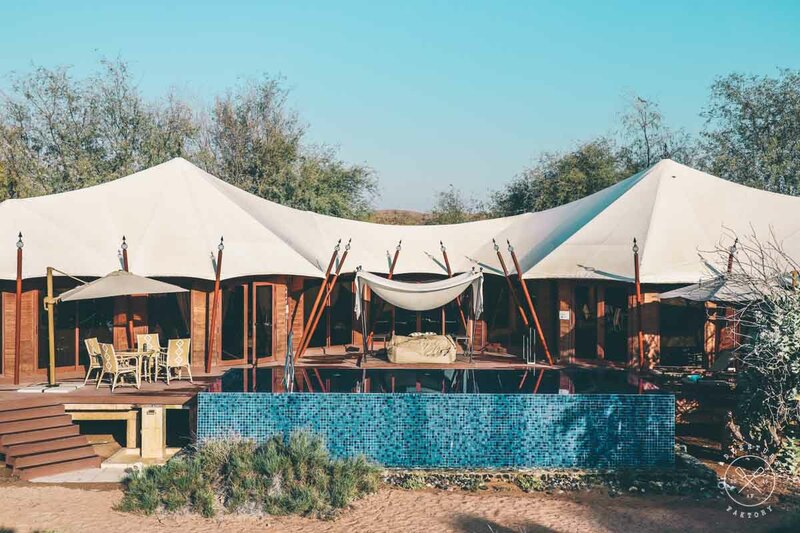 If you are looking for a glamping experience in the desert, then staying at the Ritz-Carlton Ras Al Khaimah, Al Wadi Desert might be the address you were looking for with its hydrotherapy spa, outdoor activities for the whole family and tasty food. 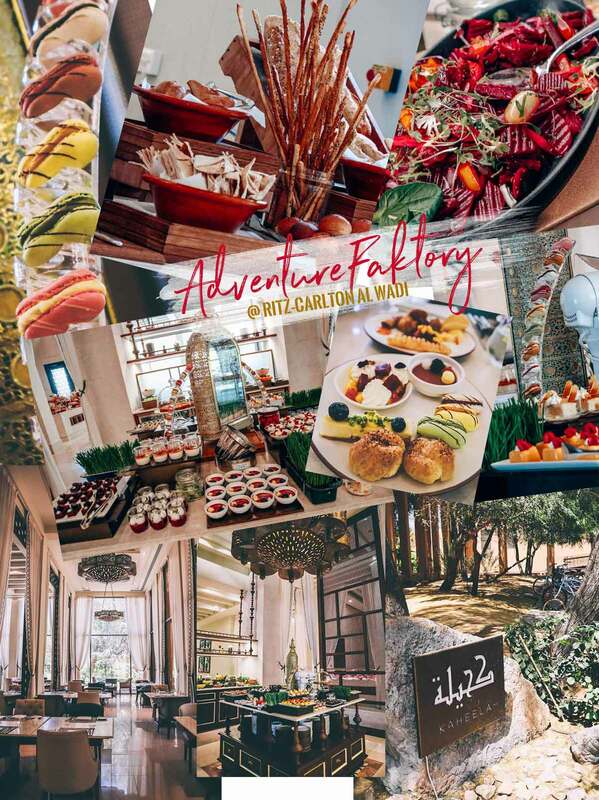 Where is the Ritz-Carlton Al Wadi located? It is in Ras Al Khaimah, 2 Emirates (province) away from Dubai, and a 45 minutes ride away from the international airport. 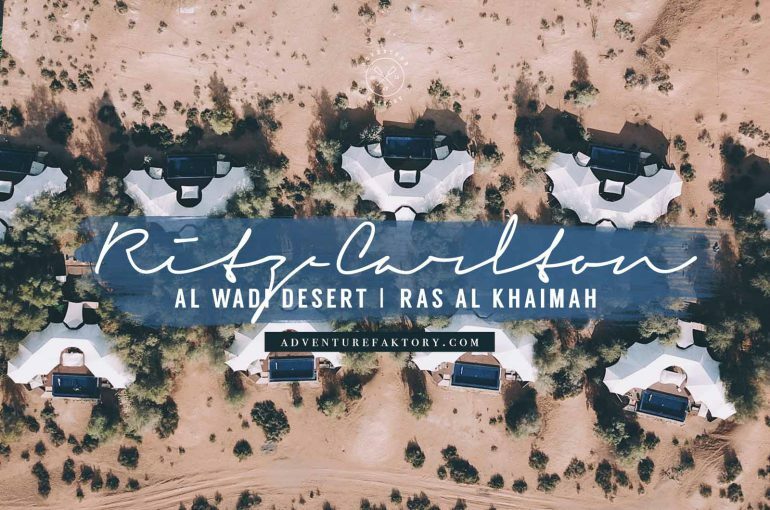 The property is right in the middle of the Al Wadi Desert with the red sand dunes. If you plan to come here make sure to just relax and enjoy the resort. If you need some beach time, you can go for free at the sister property. If you like shopping, there are a few malls around but we would recommend you to keep that for your Dubai journey. If you are an UAE resident you can drive to the resort but if you feel like a proper stay-cation with some rest, leave the car home and arrange a transfer with the Ritz team. For the other guests, you won’t need a car if you want to see the beach as a daily shuttle to The Ritz-Carlton Ras Al Khaimah, Al Hamra Beach is available for the guests. Within the resort, you can walk, use the bikes or call the buggy service. Always call in advance if you like to plan things on a specific time. Have breakfast at Kaheela with a buffet with Arabian influence, a selection of breads and a live egg station. You can also have in-room service (available 24H a day) breakfast to enjoy your pool and privacy at the same time. Kaheela will also have your lunch buffet which we thought had a lot of fried food (so good though) but if you want to eat healthier there is a wide salad section and roasted chicken to fulfil your needs. 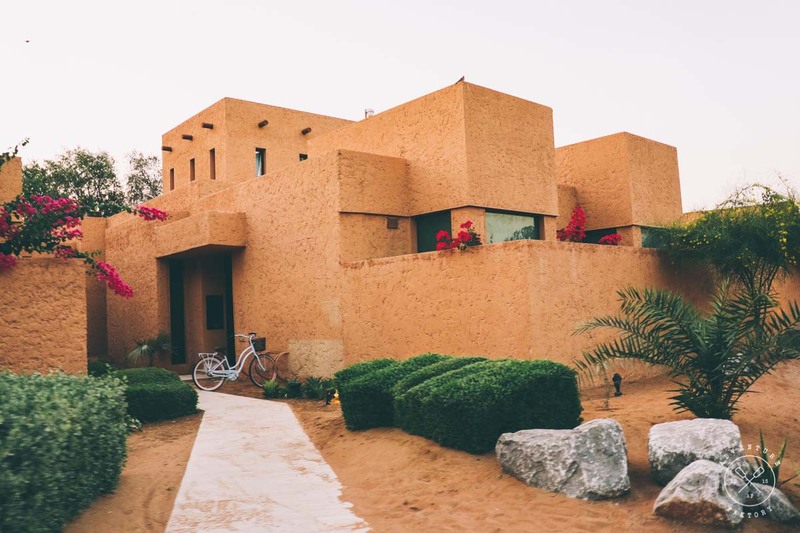 The resort likes to recommend guests to try Shore House located at their sister property on Al Hamra beach, which you can take the free shuttle to get there. If you choose to stay at the resort you can skip breakfast and lunch to also enjoy the Afternoon Tea. Don’t forget before going to dinner to head over Moon Bar with a beautiful view at the dunes to watch the sun go down. Order a shisha if you feel like it. 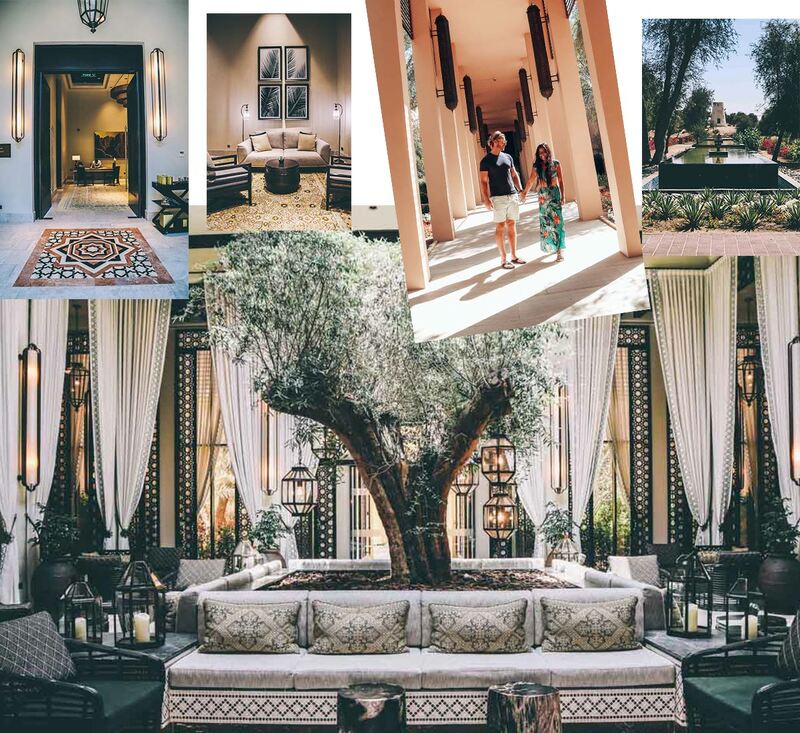 Although very romantic and chilled place, if you are looking for privacy, this isn’t a place for you unless you get the bar seating first and will be the only ones around the corner with no one else in front of you. The hotel is open to customizes requests for special occasions of course, for a fee. For dinner most guests dine at the Farmhouse. Here you can get great steak, seafood or our favourite, smoked meat. 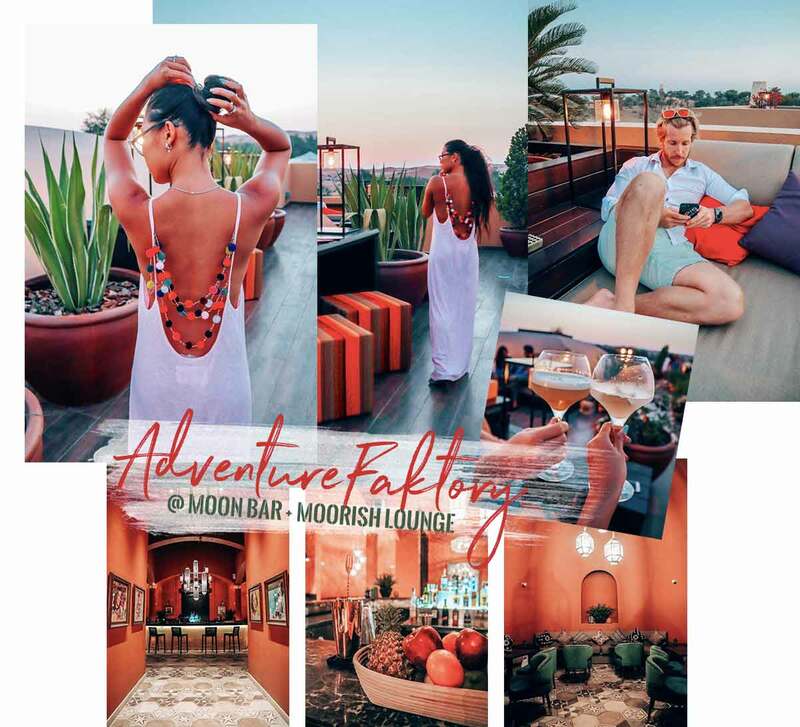 Moorish lounge restaurant is another restaurant with flavours from Spain and Morocco. 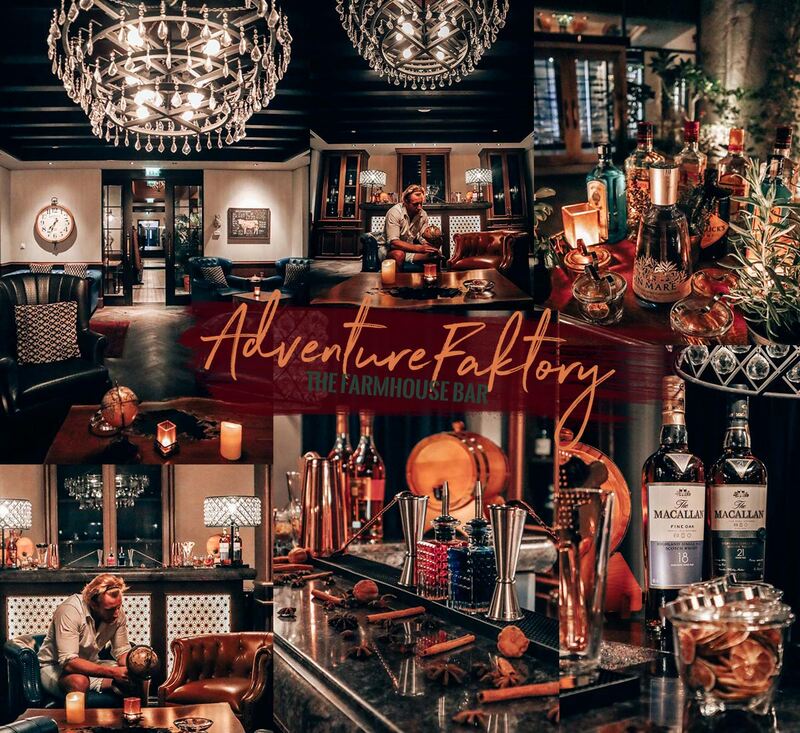 With a bar right in the middle the ambiance is very warm and stylish with our favourite, the great artwork! Note that if you have dietary requirements, their Executive Chef will personalize the menu for you. Every Friday, there is a traditional Arabic BBQ experience at Khanzaman where you can eat right beside the dunes and enjoy live barbecue grill stations, mezzes, salads and desserts. 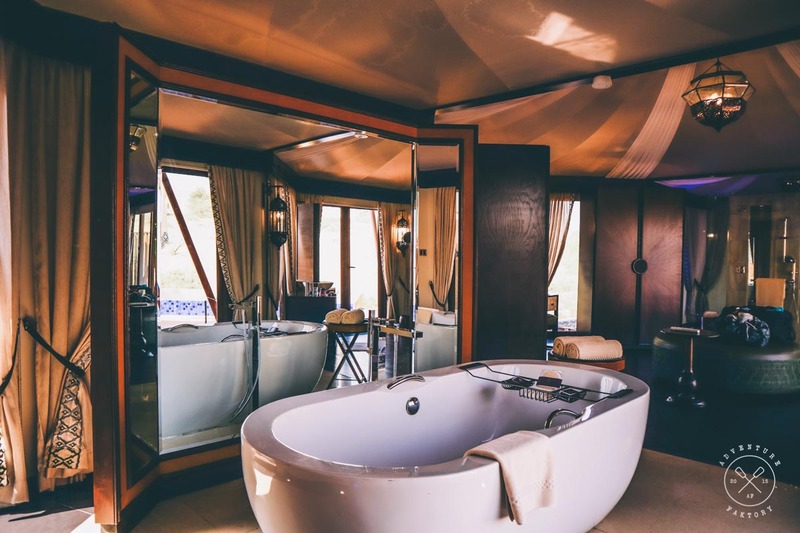 For romantics and special occasions, private dining with a beautiful view of the resort and dunes can be arranged at the Arabian watchtower where the menu will be customized to you. You must reserve in advance. There are many other private dining spots surrounded by the golden sands where you can also book. 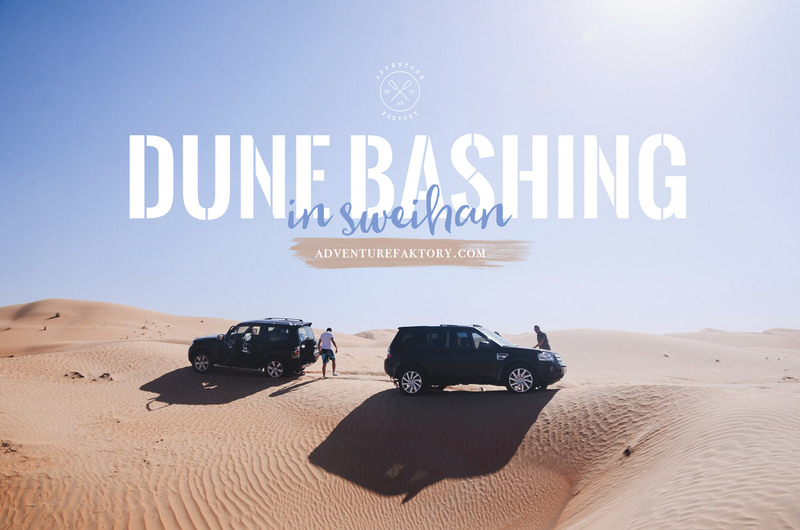 This is also available for groups and you can request to have an experience to dine on the dunes like the Bedouin people did. If you like to stay fit while you’re travelling like us, there is a complete fitness centre with free-weights and all the machines and space you need for a full body workout. You could also go running, walking or biking around the suggested paths. You can get maps at the Experience Concierge. 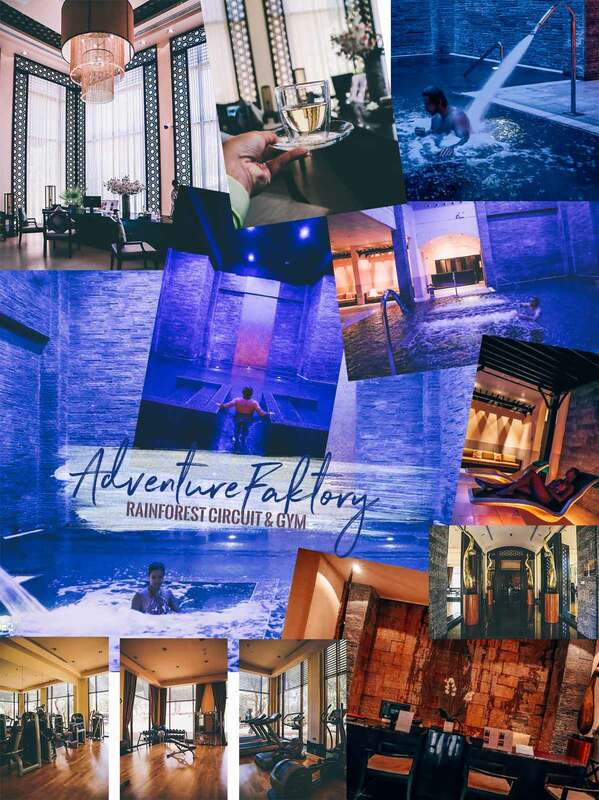 After a good exercise you can go unwind at their spa for either therapy or to use the Rainforest Hydrothermal Spa Circuit. 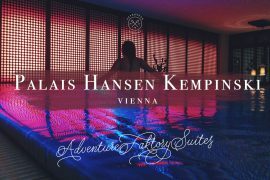 You will be going through a series of 14 different stations of hydrothermal experiences mixing European & Asian wellness philosophy. 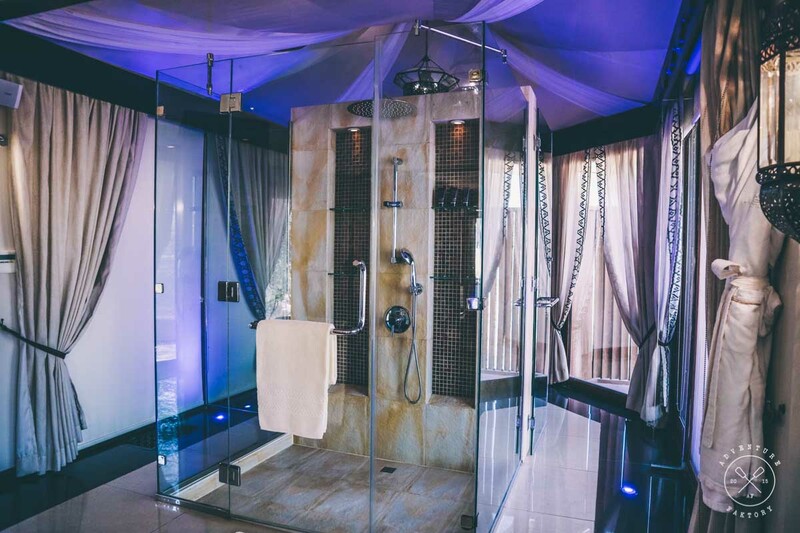 This experience is also available for females only which you can check with the spa for the exact timings. Don’t forget your swimwear before heading there! Since under eighteens can’t go to the Rainforest, you can drop them at the unique Ritz Kids program which offers many types of supervised physical and creative activities (4-12 years old). There are also other activities available for kids including an outdoor playground. If you need it, there is an ATM available, a shop with curated items and even a florist on demand for special occasions. 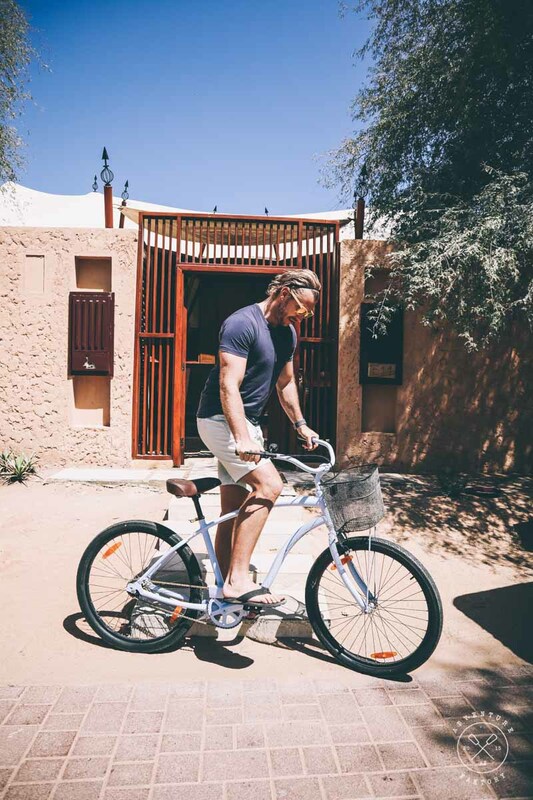 Bicycles are available for all guests at their rooms. There are also custom bikes of difference size, training wheels for little ones and bikes with a baby carrier. Guided bicycle rides in the nature reserve are also available. 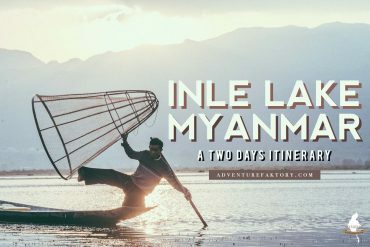 This getaway is perfect for couples and families, with a wide range of activities to do. 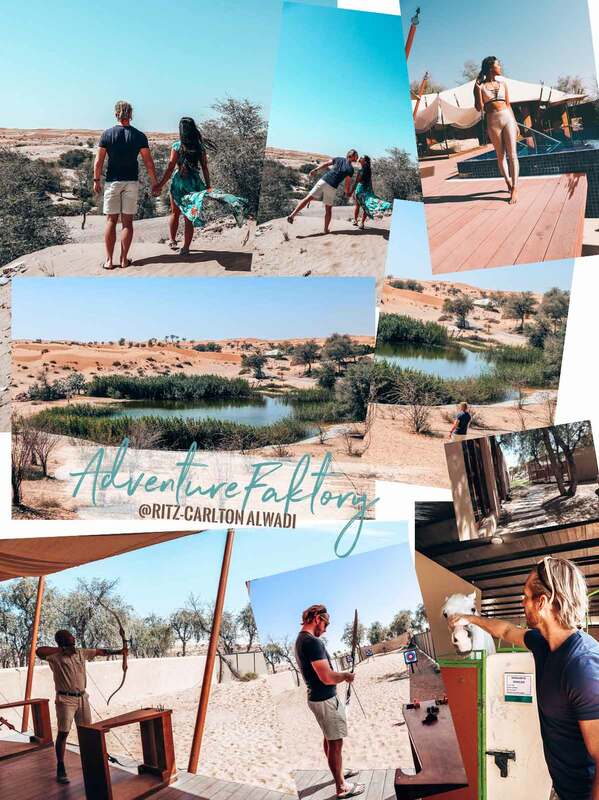 Not only you can do the previously mentioned physical activities, you can get desert fauna and flora classes, interaction sessions with the falcons and owls, etc. Here’s a quick list, but you can learn more here. The Ritz-Carlton in general very environmentally conscious and runs many initiatives to protecting natural resources. They have a program called Community Footprints that is their social and environmental responsibility initiative. You can learn more about it here. The only downside is that there is no initiatives yet to reduce the use of plastic (like avoiding plastic bottles, soaps and shampoo distributed in dispensers, etc), hence please be mindful and do not throw your plastic bottles around. 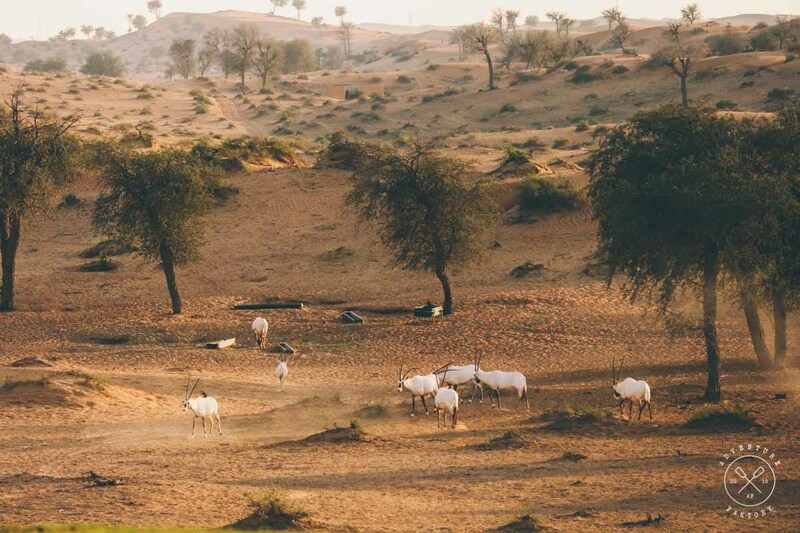 We woke up to a beautiful sunrise bathing at our private pool around 6:30 AM to then bike around the property for some bird-watching and see the Arabian Oryx chase each other before other guests would normally wake up. We tanned before the sun got too strong, just enough for a gentle 10 minute nap on our outdoor queen size bean bag bed which was still under the sun at that time, even though it is covered with a traditional shade cloth. During our stay there were plenty of options of things to do. 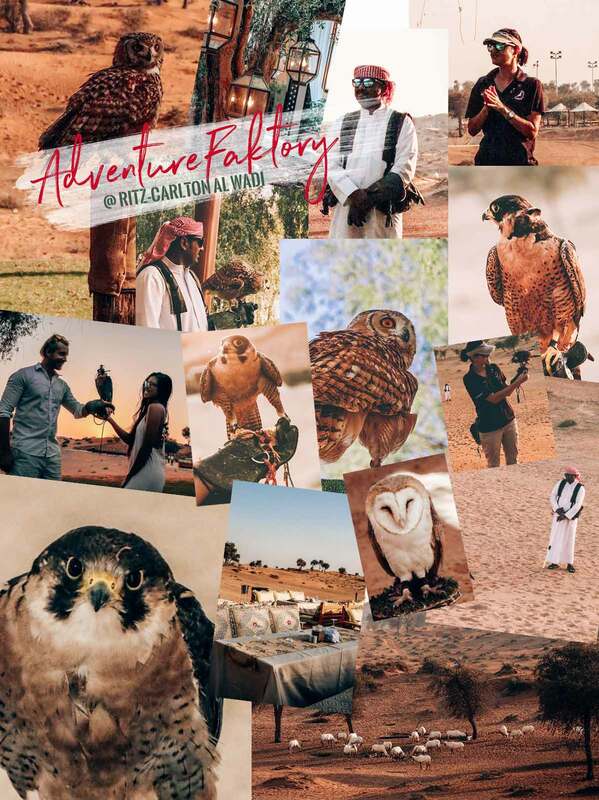 From the signature falcon show, to archery and biking around the protected nature reserve that spans across 500 hectares. 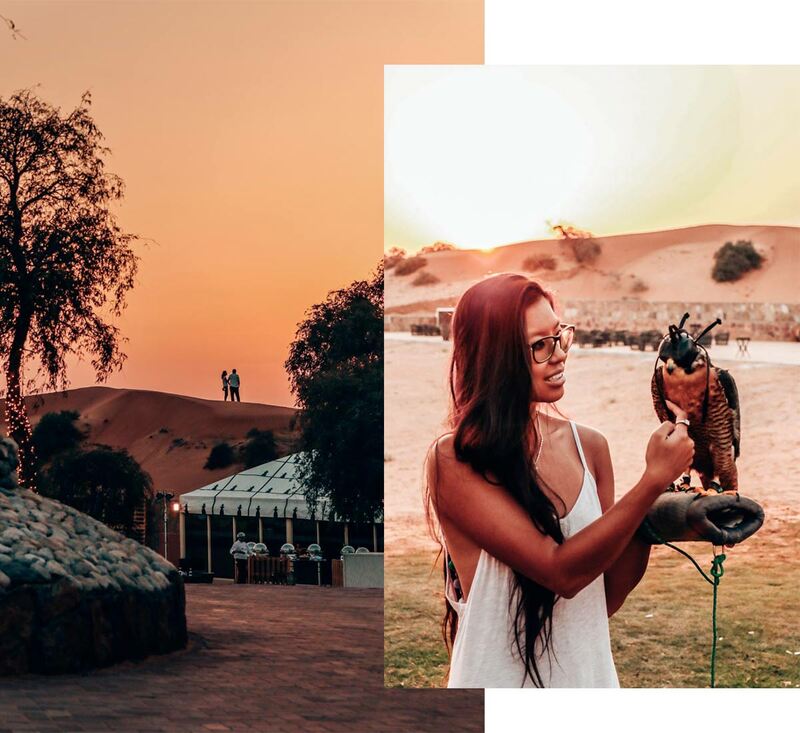 We enjoyed a sunsets at great spots such as at the falcon show and also at the Moon Bar. 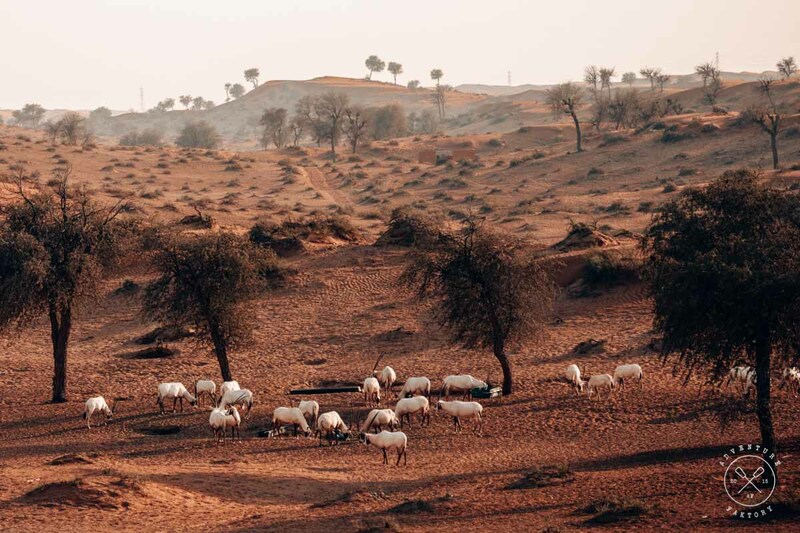 Have you ever visited the UAE and if not, you should plan a visit to Ras Al Khaimah and stay here! You can read more about the UAE here!